Any income generated by Membership is invested into the club, funding additional coaches, kit, club events and more. We are eager to help the club grow but welcome all ideas from all KTC members. As a KTC member you’ll get to benefit from excellent coaching from BTF certified coaches, club socials, annual club prizes/awards, the AGM (and help the club make the right decisions and grow even more). You will also, as a member, be invited to the closed Facebook group for the club to discuss all thing Tri, organise informal rides or just share experiences and get motivated! KTC Membership gives you £11 (as at 2017) discount off BTF Membership. 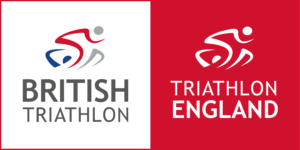 This is worthwhile as it provides you with all sorts of benefits including insurance and discounted race entry – a full list of benefits can be seen on British Triathlons website. As a member of Kendal Triathlon Club you also get access to great deals and discounts with some of our local stores and events. Production of a valid membership card will get a 10% discount on full price bikes and accessories at Giant Kendal, Evans Cycles and Wheelbase in Staveley.